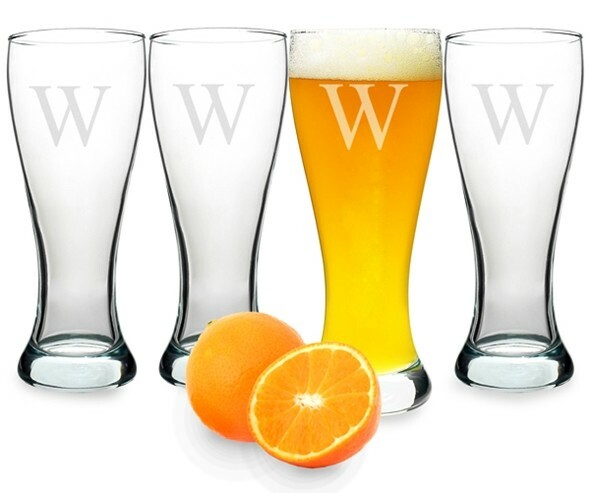 A brilliant gift for any lucky guy will be these awesome pilsner glasses! Perfect for laying back and relaxing. Even better, you may personalize them with an engraved single initial at no additional charge. PLEASE NOTE: Sold as a set of four (4) and prices quoted below are per set. "Keep up the good work. This is my fourth order with your website and I am still a very satisfied customer." Kay L.